Welcome to Get Up in the Cool: Old Time Music with Cameron DeWhitt and Friends! This week’s friend is Kilby Spencer, and he’s kind of my new favorite fiddler. Welcome to Get Up in the Cool: Old Time Music with Cameron DeWhitt and Friends. This episode features a lot of my new friends! Thornton, Emily and Kilby Spencer, Kelly Brieding and Debbie Bramer. Welcome to Get Up in the Cool: Old Time Music with Cameron DeWhitt and Friends! This week’s friend is one of the first people I met at my first ever Clifftop, melodic clawhammer banjoist Bertram Levy. Hi friends! I hope you’re all ready to Get Up in the Cool, by which I mean, get transported to a magical fairy land because this week for episode 10 Deb Justice brought her hammered dulcimer. 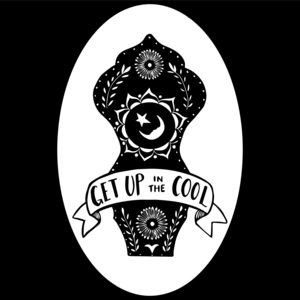 Welcome to episode 9 of Get Up in the Cool, Old Time Music with Cameron DeWhitt, and Friends. I’m Cameron, and my featured friend this week is fiddler Chris Dalnodar. Seeing as we both live in Philadelphia and his was the first local episode of the show, Chris thought it would be nice to do some Pennsylvania, or more specifically, Pennsatucky tunes. Welcome to Episode 8 of Get Up in the Cool, Old Time Music with Cameron DeWhitt and Friends. This week I’m proud to present my interview and jam with Ethnomusicologist, Fiddler, Banjo player, and BFF Jake Blount. This week’s theme is African American Fiddling! Hello Friends! This is episode 5 of Get Up in the Cool, wherein one of my favorite people ever, Bach Bui, plays James Bryan playing Mack Blalock; I’ll let Bach explain the details.